SLV Lighting is a specialist in track lighting and offers creative residential and commercial lighting solutions for both indoor and outdoor uses. Founded in 1979 and based in Ubach-Palenberg, Germany, SLV Lighting is one of the leaders in lighting throughout Europe through subsidiaries and associated companies. 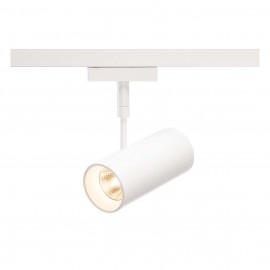 SLV Track Lighting is a very versatile lighting solution for retail, commercial and domestic applications. Its flexibility and movement allow total control over your lighting. It is a great solution to enhance the general ambience of a room or when specific task lighting is needed. The fittings can be placed at any point on the track, making them a very adaptable product to suit lighting needed for any room, area or specific item, with the added benefit that if the layout changes the fittings can easily be repositioned. The other benefit of SLV track lighting is that it can be used where recessing light into the ceiling is not possible.